I tend to research products before purchasing because I don't want to waste time and money using things I don't like. I also don't like to return things so I have a few bits and bobs in my stash that I almost never reach for and I wish they would just disappear! 1. Revlon's Super Lustrous Lipgloss in Pink Whisper - This is one of the first lipglosses I ever bought and the pink, slightly peachy color caught my eye right away. It looks beautiful in the tube but it does not look as great on my lips. The only reason why I've used as much of it as I have is because I forced myself to use it so I wouldn't waste product. I like the other three colors from the same line that are cream finishes though. I did a more in-depth review with swatches HERE. 2. Rimmel's Professional Eyebrow Pencil in Dark Brown - A year ago Rimmel was having a sale and I decided to try this brow pencil since Hollyannaeree uses it as well (well she did before, I'm not sure if she's still using it). I tried using this pencil maybe three times and it just did not look right. I think the color is too dark and I should have opted for a lighter shade :/ I have found that I prefer powder as opposed to pencil for my brows too. *EDIT* A few days after writing this post, I decided to give this pencil another go and I actually somewhat like it now. Although the color still leans a bit red to my liking, it gets the job done and is a handy pencil. I think I like this more because I've been getting used to how I look with fill in-ed brows. 3. Milani's HD Advanced Concealer in Light - I picked this up when it first came out in the lightest shade because it seemed to resemble the popular YSL Touche Eclat. I have not tried the YSl version but the Milani concealer is not a good concealer at all. It has very little coverage and does not blend well. 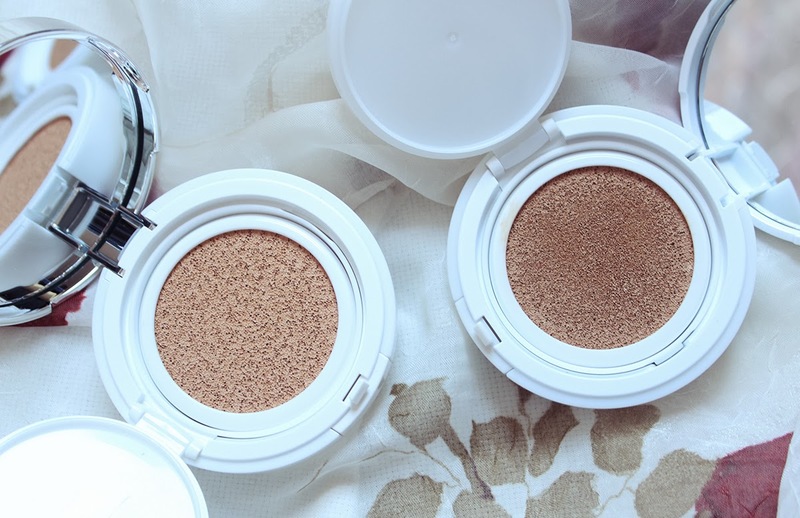 The formula is too dry for my undereye area as well. The click applicator is very frustrating when you first use it because it takes maybe fifty to a hundred clicks to get the product going. If you get annoyed and click too many times, the product spills out and goes to waste. *EDIT* After more experimentation, this works nicely as an all over light tint if I moisturize my skin thoroughly beforehand. It is still not a winner but over a very good moisturizer, I can make this look decent. I would not repurchase but I'm glad I found a way to make it look good on my skin. 4. Revlon's Colorstay Quad in Stonewash Denim - One of my first eyeshadows ever and I have no idea what made me think I could pull off blue eyeshadow. I have probably used this two or three times on my eyes. The shadows are somewhat powdery and aren't vibrant on the skin. I do not recommend this particular shade in the Colorstay Quad range. I have another one of their quads in Blushed Wines which I do quite like. I have swatches of that HERE. 5. Maybelline Instant Age Rewind Primer - I felt like jumping on board with the whole foundation primer craze when Maybelline had a 40% off sale. 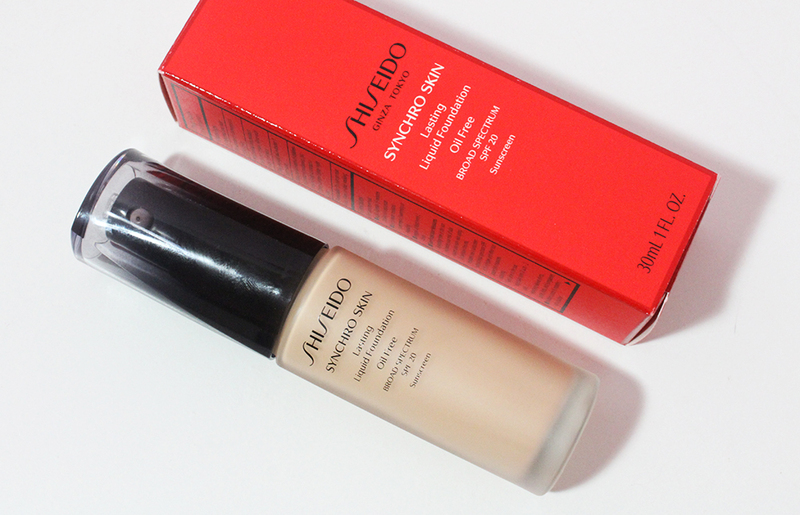 This primer is mostly made of dimethicone so it gives the skin a very smooth finish. However, I did not notice a huge difference in how my skin looked and my makeup didn't seem to stay on longer. I take about half an hour to get ready if I'm doing a whole face of makeup so I try not to add unnecessary things. 6. Wet n' Wild Coloricon Palette in Vanity - I know, I know. Everyone loves this palette. I thought I would too and I got it for only $2 because Rite Aid made a mistake with the price tags. The pigmentation is great and the shadows are good. However, most of the shades look too yellow to me and I hardly ever reach for this palette. My favorite shades are the shimmer dark brown and the matte cream. I rarely reach for this palette as I have many more neutrals that seem to look better on me. *EDIT* After more experimenting with this palette, it is quite nice sometimes. It's still not a favorite by any means but I no longer regret purchasing it. I don't own, nor have I ever tried, any of the products you've listed except Pink Whisper. I bought that one along with two others: Lilac Pastel & Sandstone Shimmer. The color really does look so pretty in the tube, but I wasn't that impressed with it on my lips. I thought they'd be more opaque than they actually came out to be. I wouldn't say I regret buying them, though, because after all, I wouldn't have had the chance to find out I didn't like a product if I didn't buy it in the first place :) Great post, and thanks for sharing! The HD concealer is a bit drying, I find most undereye concealers are too drying, or they aren't drying but have very little coverage. I prefer coverage and drying over no coverage, but it would be great to have the best of both world's. I like the wet n wild vanity palette. I love the colours in it. Sorry it didn't work for you. Huda Kaake: The cream colors are quite pigmented though! Those feel great on my lips whereas Pink Whisper tends to look streaky and gross :( You have such a positive outlook on your products! mandy: Glad I'm not the only one who hates that concealer! I much prefer a squeeze tube for my liquid concealers! Justine: I like creamy undereye concealers like Benefit's Erase Paste. A lot of people dislike that one because it's super thick but I don't find it dry at all. Once it blends into my skin, it really looks like my skin! christine: I thought I was going to love Vanity but I just have other shadows I like more. I have quite a lot of golds and mattes that I prefer over the ones in this palette. If there's a sale I think it's worth the money though! I have the Vanity palette and love it, it's so natural and versatile. The Revlon Lipgloss looks gorgeous! Out of the 6 items you regret buying, I love exactly half of them. 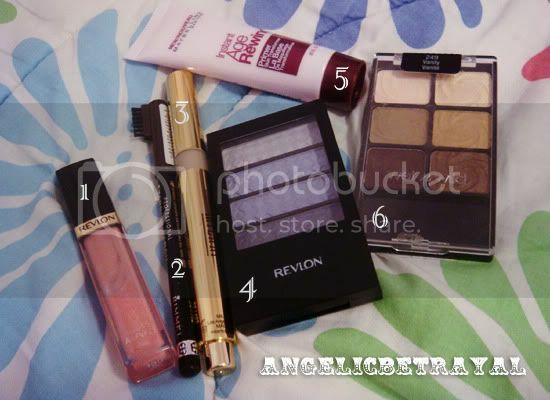 The WnW palette, Revlon lipglosses, & Milani concealor. Although, the Milani concealor is something I only use on days when I don't need full coverage. I love this post though. GABY: It is a good palette but I just don't reach for it XD Maybe if I tried using it more I'd like it better? Mara: I really like the other Revlon glosses that have cream finishes like Lilac Pastelle. It's just that one shade that I don't really like XD Sometimes I use the Milani concealer as a subtle highlight on my cheekbones, nose, and forehead but I wish it was creamier.